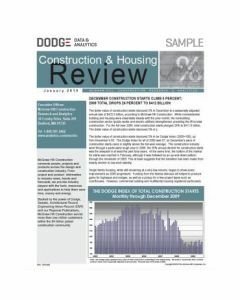 Construction Potential Bulletins provide a snapshot review of detailed construction start data for 32 residential, non-residential and engineering project types. Current month starts, year-to-date totals and comparative data from the previous year are presented. Reports are available for the U.S. total, and 9 regions. The 9 regional reports present data for aggregated sets of structure types at the state and metro levels within the region. 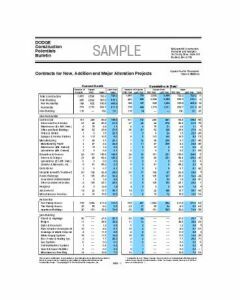 The U.S. report summarizes all 50 states, with aggregated totals for each of the 9 regions.